You can easily paginate comments in WordPress by adjusting the ‘other comments settings’ in the Discussion settings menu. Comments are very useful for a post (blog or page) since this is a signal that users like what they read and want to interact with the content by commenting. There are cases of course where you may want to disable comments or turn them off for old posts. In general comments are welcomed and desired provided that they are monitored correctly. Why enable pagination for comments? One of the things you should never forget when running your WordPress website or blog is page speed loading time. If you have a lot of comments in one page this will slow down the page so paginating the comments is a good solution. Another reason for adding pagination to comments is when you want to ‘hide’ old comments and give more preference to the newest comments. This is particularly useful for comments that are related to a particular timeframe i.e. comments to news websites. In addition to improving the page load time, pagination is friendlier to server resources. For pages with a few comments this is not a problem but for pages with a lot of comments this can (in some circumstances) create memory issues. Step 4: Click the check box to enable pagination and set the number of comments per page. You can also choose which page with comments to show first and whether to show older or newer comments first. That’s it! 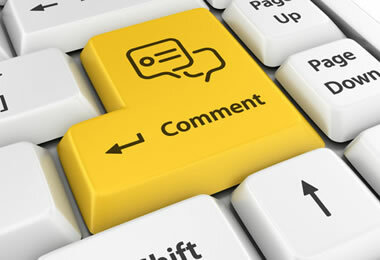 If you go back to your pages or blog posts that have more comments than you have specified in the comments settings above, you will see that instead of showing all the comments it shows ‘Previous Comments’ and ‘Next comments’ or page numbers: 1 2 3 (the display of the comments buttons is based on your theme). If you enjoyed this WordPress tutorial you can find even more guides in our free WordPress tutorials category.